Are you ready to maximize your workout? Wearing the 4 Hook Black Sport Latex Cincher anytime you’re going to be active. Take it to the gym or for a run outside and let it add impact to your healthy lifestyle routine. Here’s how it works. You wrap the band around your midsection. This action creates compression in your core, stimulating thermal activity and ramping up perspiration. This process allows toxins and impurities to exit the skin, while mobilizing fat cells. Put simply, the band helps ensure that your workout is working for you. The band itself is constructed from a latex core with a soft cotton exterior and interior lining. It sits at your waist, extending to the upper abdominals. Four columns of hook-and-eye closures allow you to size the garment down with you. FelixBoning anchors the cincher and prevents migration. If you’ve been thinking about adding a supplement to your active lifestyle! 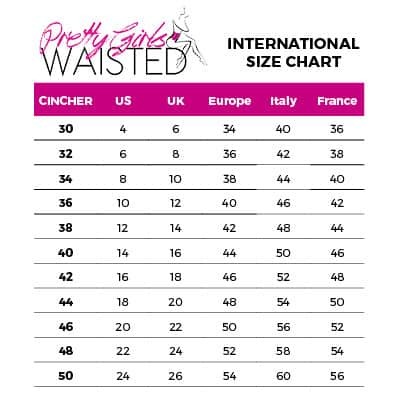 Short Cincher is the most comfortable shaper offered. 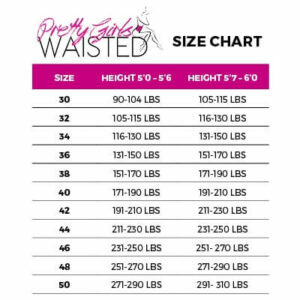 It is recommended for short torso, bigger buttocks and first time corset trainers. It can be worn while sleeping, working out, and through out the day. It helps with after birth recovery.